International house sensation Peggy Gou launches her own Gudu Records with the "Moment" EP, a killer double header of dance floor majesty, informed by 30 years of club music and transformed into something all of her own. The A-side kicks off with "Starry Night" (surely the only Radio 1 daytime play in history with a Korean vocal?) a beautiful fusion of emotional SAE melodies and proto house elements. The pinging bassline and punchy piano could come straight from a Prelude classic, while the sweet synth strings are totally AZN, providing an infectious and energetic backdrop for Peggy's fierce vocal. Top. On the flip "Han Pan" hits us with glassy / metallic synth melodies, a stepping rhythm and hints of island life in the lead line, once again topped by a choice vocal from Peggy. Timeless, anthemic and totally irresistible, this is another essential release from the latest house superstar. Patrick says: How does she do it? 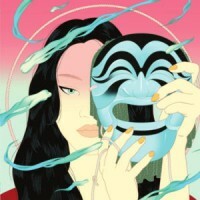 Peggy Gou distils Prelude boogie, proto house and bubblegum style groove into a glorious two track 12" on her new Gudu Records. Featuring her bilingual vocals once again, along with a perfect combination of bump and melody, surely this is 2019's summer anthem?